As a first year Coordinator at two first-year schools, I was certainly worried about being able to get integrated and finding my place. I didn’t want to come barging in and make it seem like I was trying to force massive change on a group of people that didn’t know me. As was recommended, I decided to start off my time here in Hazard, Kentucky by doing a little staff wellness and appreciation. I went to Walmart and bought two 3 gallon water dispensers. In my first full week at the schools, I made some cucumber infused water and brought it for the staff to try as a healthy alternative to the sugary beverages that are all too common in Eastern Kentucky. My Middle School got the water first, and I was surprised when I went around to ask the staff for feedback. Most people liked it, but more interestingly, a lot of people thought that my idea to put cucumbers in water was crazy! Cucumber water was such a normal thing to me that I couldn’t believe that there were people who had not tried it before. Without even knowing it, I had exposed some people to a healthy new option. At my High School, there is no break room or teachers’ lounge, so I had to put the water in the main office. In the middle of the day, when I went to once again get some opinions on my water, I was surprised to hear that a lot of students that passed through the office had also been drinking the water. 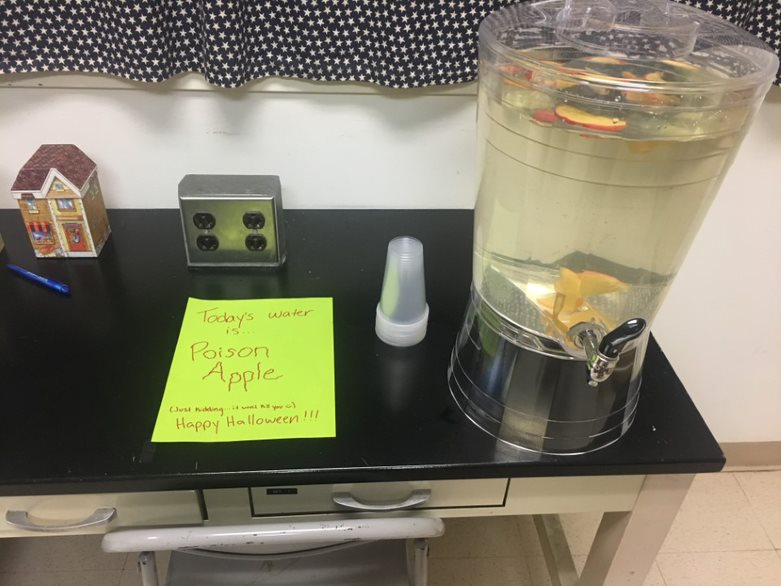 I got a lot of the same reactions as I had at the Middle School, but it was exciting to hear that both staff and students were getting to sample my healthy alternative to sugary beverages. Fast forward to the current point in the year, and my schools cannot get enough of my water! There have been favorite flavors, and there have been flavors that people requested that I may NEVER make again, but all in all, it has been a major success. People are excited to give me their feedback and suggestions, and if the water is missing on its designated day, I get bombarded with questions about why we don’t have it. It has even become a tradition that some of the pickiest staff members will try my water each week, just for the experience. The goal for our infused water was to get people to try something new, and now everyone is hooked. 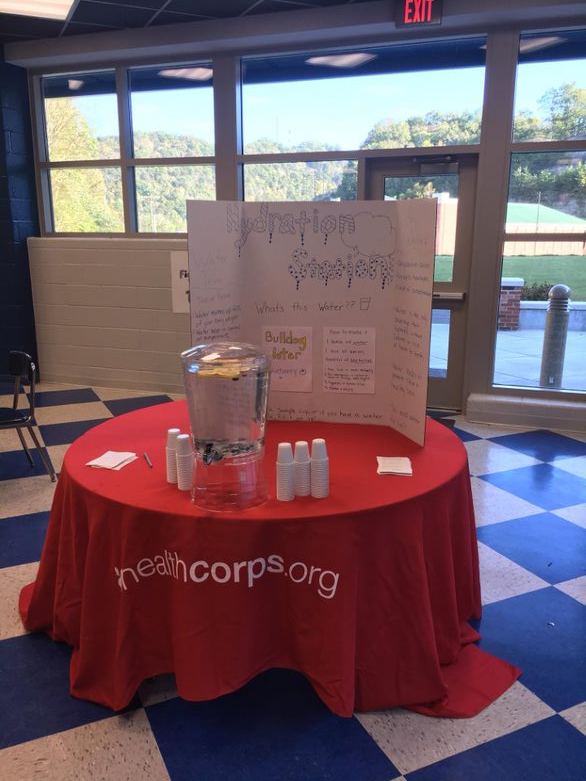 I didn’t realize before I started that making infused water would become one of the biggest staples in my HealthCorps programming, but I sure am excited that it is.